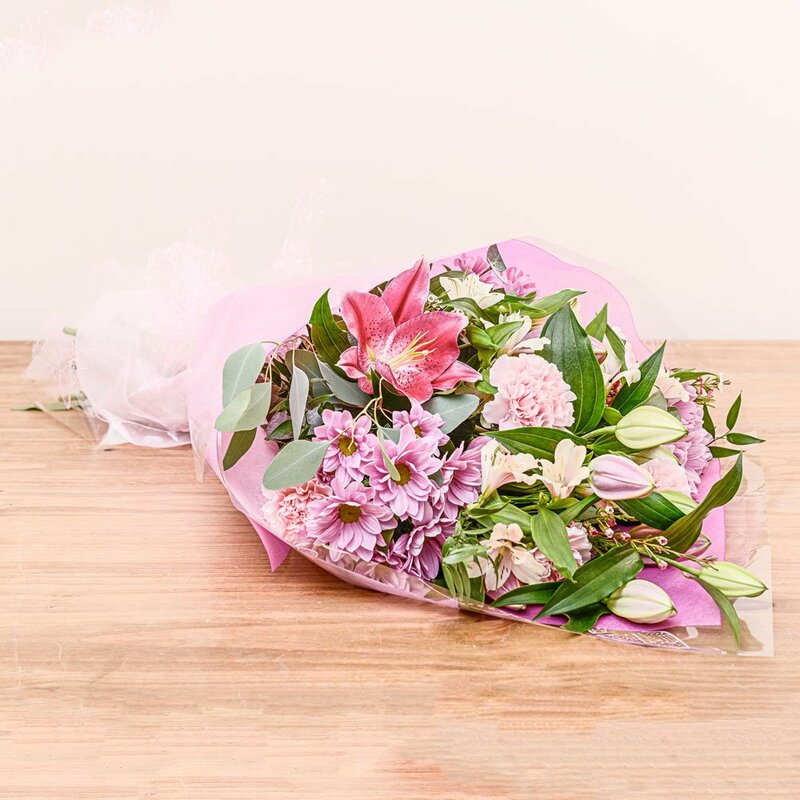 The Freya bouquet is a pretty in pink bunch of flowers. Whether it is for a Birthday, Anniversary or a Get Well Soon wish, this natural selection of beautiful flowers in shades of pink will be perfect for any occasion. This popular and striking selection includes Carnations, Alstroemeria, scented Lilies and Chrysanthemums. These flowers will create an impressive display which will be welcomed in any room of the home. Our beautiful blooms are freshly delivered daily from the auctions in the Netherlands, so you can be rest assured you are sending the best quality flowers there are. This gift wrapped bouquet is a guaranteed to brighten up anyone's day.